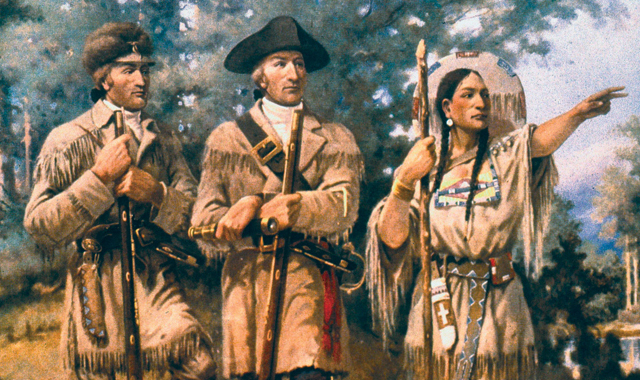 Learn more about Lewis and Clark’s famous journey west during History Speaks on March 13 at Naper Settlement in Naperville. Feb. 3-28. Visit the national traveling exhibition of the Shakespeare First Folio, along with a series of Shakespeare-inspired events and workshops. Lake County Discovery Museum, 27277 N. Forest Preserve Road, Wauconda, (847) 968-3400, lcfpd.org. Feb. 6, 1-5 p.m. With the theme “Hallowed Grounds: Sites of African-American Memories,” the festival hosts award-winning author Glennette Tilly Turner to present her Underground Railroad research program. Gail Borden Public Library (GBPL), 270 N. Grove Ave., Elgin, (847) 742-2411, gailborden.info. Feb. 12-14. Join a group from Crystal Lake Park District for a weekend of Kundalini Yoga, meditation, gong relaxation and more. Heartland Spa, 335 Wrigley Dr., Lake Geneva. Info/registration: (815) 477-5873, crystallakeparks.org. Feb. 13, 1 p.m. Staff members Dave Bauer and Samira Bamberger introduce how to raise chickens, from incubation to egg collection. Garfield Farm Museum, 3N016 Garfield Road, LaFox, (630) 584-8485, garfieldfarm.org. Feb. 17, March 16 & April 20, 7-8:30 p.m. This group of book lovers and nature enthusiasts discusses a book about the environment or related topic. Creek Bend Nature Center, 37W700 Dean St., St. Charles, kaneforest.com. Feb. 18, 10 a.m. Paul Gehl, longtime curator at Chicago’s Newberry Library, explains the advocates of “useful learning” against “rich men’s rarities,” and how librarians have resolved these tensions. Woodstock Opera House, 121 Van Buren St., Woodstock, (815) 338-5300, woodstockoperahouse.com. Feb. 20, 8:30 a.m.-4:30 p.m. Learn how to restore and manage prairie, woodlands and wetlands. Garfield Farm Museum, LaFox, (630) 584-8485, garfieldfarm.org. Feb. 23, 10-11 a.m. Learn how to use oils to improve your health and quality of life. Registration required. 1 E. Crystal Lake Ave., Crystal Lake, (815) 459-0680, crystallakeparks.org. Feb. 28, 4-5:50 p.m. Bryan Ogg, curator of research, relates the fascinating story of Sybil Dunbar, Naperville’s first known African-American female resident, from 1860. Naper Settlement, 523 S. Webster St., Naperville, (630) 420-6010, napersettlement.museum.org. March 6, 1:30 p.m. Make three grafts of antique apple trees to take home for planting. Registration required. Garfield Farm Museum, LaFox, (630) 584-8485, garfieldfarm.org. March 13, 4-5 p.m. Brian Fox Ellis shares folklore and true history from the American Indians whom Lewis and Clark met on their journey west. Naper Settlement, Naperville, (630) 420-6010, napersettlement.museum.org. March 17, 10 a.m. Phil Ponce, host of WTTW’s “Chicago Tonight,” gives his personal take on the people who are a driving force in Chicago and explains how quickly the “personal” can become the “political.” Woodstock Opera House, (815) 338-5300, woodstockoperahouse.com. March 18, 7-9 p.m. Create an 11-by-14 inch painting with the guidance of a professional art instructor. Crystal Lake West Beach, 2330 Lake Ave., Crystal Lake, (815) 459-0680, crystallakeparks.org. March 18, 8 p.m. Dr. Josh Friemann overviews what makes up the Dark Universe and describes new experiments and observatories that aim to illuminate these enigmas. Fermilab, Ramsey Auditorium, Kirk Road & Pine Street, Batavia, (630) 840-2787, fnal.gov/culture. March 20, 2 p.m. Stephen Perry, producer of the 2011 documentary “The Hayloft Gang,” will bring to life the Chicago-based National Barn Dance radio program with a presentation based on the documentary. Elgin Area Historical Society & Museum, 360 Park St., Elgin, (847) 742-4248, elginhistory.org. March 20, 1-2:30 p.m. Join an informative lecture and hands-on workshop provided by the Midwest Fruit Explorers Club. Registration required. Cantigny, 1S151 Winfield Road, Wheaton, (630) 668-5161, cantigny.org. March 20, 2-3 p.m. In this dramatic book review, Jenny Riddle portrays Chicago street photographer Vivian Maier, the North Shore nanny whose remarkable gift for photography has, posthumously, taken the world by storm. GBPL, Elgin, (847) 742-2411, gailborden.info. April 8, 8 p.m. Dr. Philip Mote, co-leader of the NOAA-funded Climate Impacts Research Consortium for the Northwest and more, shares a seminar on his current research interests in climate change. Fermilab, Batavia, (630) 840-2787, fnal.gov/culture. April 10, 2 p.m. Learn about the life of labor activist Mary Harris Jones, aka Mother Jones, as she is brought to life by well-known dramatist Betsey Means. Elgin Area Historical Society & Museum, Elgin, (847) 742-4248, elginhistory.org. This entry was posted on Wednesday, January 27th, 2016 at 11:58 am	and is filed under Mind & Spirit. You can follow any responses to this entry through the RSS 2.0 feed. Both comments and pings are currently closed.